The president faced a flurry of criticism from Democrats for posting a graphic video on Twitter on Friday showing the Pentagon and the two towers of the World Trade Center burning after airliners crashed into the buildings. The video included a clip of Omar referring to the attacks during a speech at a Council on American-Islamic Relations (CAIR) banquet in late March. Although some Democrats criticized her comments or refused to defend them, most Congressional Democrats and the party’s 2020 presidential hopefuls also denounced Mr. Trump’s tweet, accusing the president of inciting violence against Omar. Some of her closest allies, like fellow progressive firebrand Rep. Alexandria Ocasio-Cortez of New York, said the president and conservative media were unfairly targeting Omar because she is a woman of color and a practicing Muslim. Earlier this month, a New York man was charged by criminal complaint for threatening to murder Omar in a phone call to her congressional office. 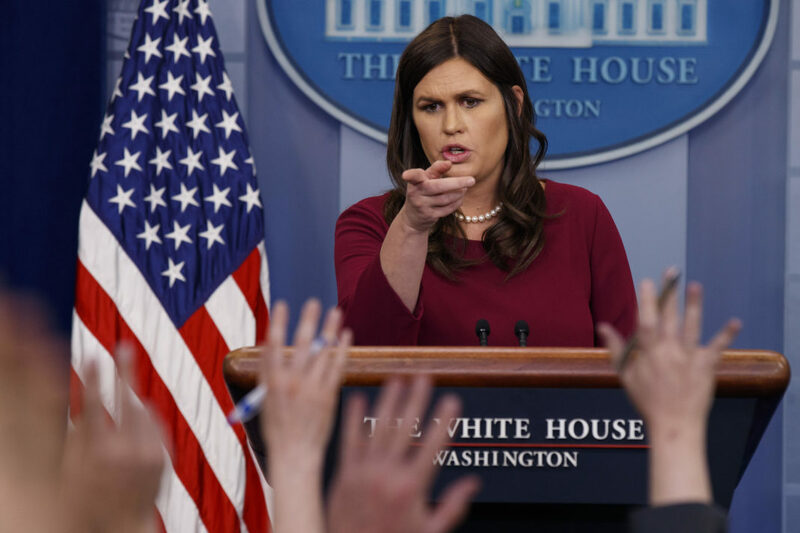 During her other television appearance Sunday on ABC’s “This Week,” Sanders denied the president was inciting violence against Omar. “The president is wishing no ill will and certainly not violence towards anyone,” she said. Omar has found herself at the center of controversy since she was elected last November. Earlier this year, she apologized for comments she made about Israel and Israeli lobbyists which were considered by some, including Democrats, to be anti-Semitic. In a “The Late Show with Stephen Colbert” appearance last week, she said she was still “learning” about the weight of some comments. “As I’ve said to my constituents and my colleagues, when you tell me that you are pained by something I say, I will always listen and I will acknowledge your pain,” Omar said.